Crestron Electronics, a world leading manufacturer of home automation and smart control solutions, was announced at the recently completed Consumer Electronics Show (CES) 2019 as the winner of three prestigious TechHome Mark of Excellence Awards. The prestigious awards are given during the course of the CES show each year. They are designed to recognise ground breaking residential custom installation projects performed by professional integrators, as well as consumer technology products and services that are primarily targeted at the custom installation channel. In 2019, the TechHome Mark of Excellence Awards were dolled out at a ceremony held at the Venetian Hotel in Las Vegas, where the annual bonanza that is CES takes place. The trio of awards which Crestron scooped up covered three different products across varied niches. Crestron’s Pyng OS 2 system, firstly, won the Whole House Control Product of the Year prize. 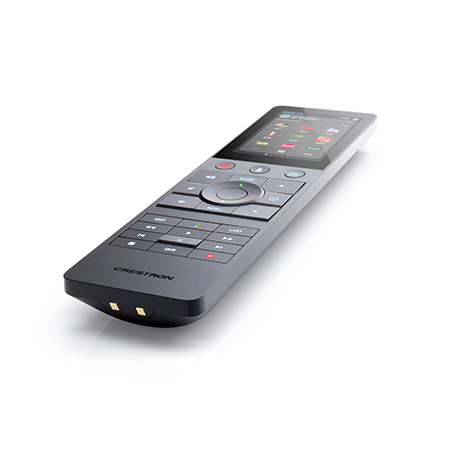 The company’s TSR-310 Crestron Handheld Touch Screen Remote, meanwhile, took home the Human Interface Product of the Year award. Finally, it was Crestron’s Ultra-Slim-Profile Motorized Diverter Shade Bracket which was named Rack or Mount Product of the Year.